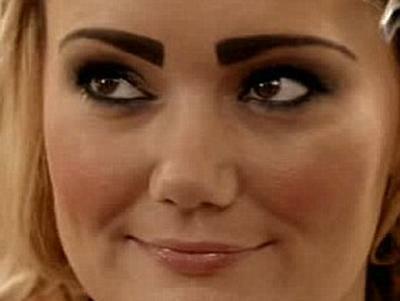 One of the best makeup tips I could give to anyone is to fill in and define your brows! So many women go to the bother of getting their eyebrows waxed or threaded and then when they apply their makeup they make the mistake of not defining their brows. All eyebrows can benefit from using either a pencil or shadow to fill them in, just make sure that they are well tidied to begin with and give them a brush through with an eyebrow brush or clean mascara wand before you start. If you have a good shape to your brow and only need to fill in small gaps or define the shape a little more, then it’s best to use a pencil. 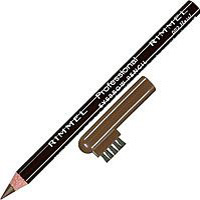 You don’t need expensive brands for this, brands like Rimmel have good brow pencils and are affordable. Use light strokes to feather the pencil over the hairs for a natural look, rather than drawing them on in hard lines which will look too harsh and unnatural. 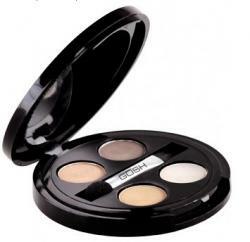 You can use either eyeshadow or a brow kit like the one from Gosh Cosmetics below. Take an angle brush and use that to apply again using soft strokes to fill in any gaps and don’t overload the brush. 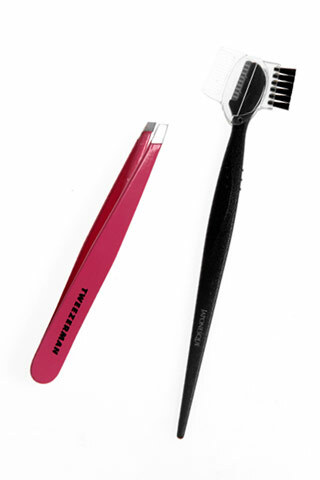 Don’t be tempted to use the darker colour just because your eyebrows are dark. I have dark brown eyebrows and I always use MAC’s “Cork” eyeshadow which is about two shades lighter and suits me perfectly. If you find that your eyebrows need to be tamed, or if you want a less powdery look to them you can always go over the shadow with clear mascara which will also help keep them in place. Try filling in your brows next time you do your makeup and you’ll see the difference it makes, it just brings the whole look together and makes you look very polished and groomed. Let me know how you get on!